Today I'm introducing what I hope will become an occasional feature at this blog: The Poet on the Poem. My plan is to select a poem that appeals to me, then contact the poet and ask him or her a handful of questions about the poem. My hope is that we will all, through the poet's commentary, learn a bit about the craft that has gone into the poem and gain some understanding of how the poem came to exist. I'm pleased to have snagged Bruce Guernsey and his poem, "October," for this first feature. 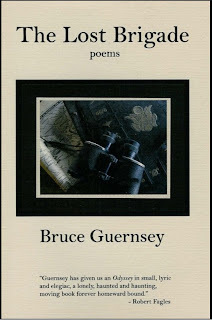 Bruce Guernsey is Distinguished Professor Emeritus at Eastern Illinois University where he taught creative writing and American Literature for twenty-five years. He has received fellowships in writing from the NEA, the Illinois Arts Council, and the Bread Loaf Writers' Conference. His work has appeared in such journals as Poetry, Southern Review, and Willow Springs. His poem Yam was recently featured on Ted Kooser's "American Life in Poetry." Among his books of poetry are January Thaw (1982), The Lost Brigade (2005), and New England Primer (2008). He is the editor of the highly regarded poetry journal, Spoon River Poetry Review. Today's poem comes from The Lost Brigade. a mile or so away. vanishes for hours, for days. DL: I admire the way you use repetition in this poem. It slows the poem to a pace appropriate for a walk in the country. At the same time, it increases the tension as it holds us back when we want to move forward. Tell us about your use of this technique and what you hoped to achieve with it. Such sound patterns are what always lead me forward in writing a poem although I am never fully conscious of them at the time. Thus, following my ear is not really a “technique” as such. It’s far more intuitive than that. But those long vowels do add to the tension, especially the siren-sound of the “i.” These are the poet’s background music that the movie-thriller uses so blatantly. The repeated words do function rhetorically to slow the pace, but the tension really comes from those words being set against the frequency of high-pitched vowels. It’s not the repetition of words alone that creates tension but how the easy pace of repetition works against the more alarming sound patterns, like hearing an ambulance in the distance on a calm summer night. DL: The diction is this poem is the language of everyday speech. But certain word choices seem essential and strategic, e.g., cutting, rattling, sabers, mystery, haunted, warned. At what point in the writing of the poem did you consider word choice? Did these words appear in the first draft or subsequent drafts? BL: Well, October is the month of goblins and ghosts, so there’s no doubt that I was trying to get some of that conventional language in there. But firstly and mostly, I was trying to describe what I heard. The dried corn does indeed rattle in the wind, and you’d swear there was something in it. I wanted to be visually accurate, too: the sharp-edged leaves do have a saber-like look to them which fit in nicely with the “rattling,” and with the “tunneling” as I began to imagine a sort of gauntlet scene with the child running under the drawn swords of corn. As so often happens, I simply got caught up in my own imaginings, and the world I was living in became the poem itself. One thing I do remember in revising was the debate I had about the house we could see once the corn was cut. I originally wrote “farm house,” then later thought that “ranch house” more dramatically revealed the leveling of the harvest and, in a way, made it more likely that a child might seek the mystery of the vertical corn as compared to the flatness of such a home. DL: I like the way the poem moves from peaceful to frightening. It takes several subtle turns. The child vanishing in the corn seems innocent enough. But then you say, “Usually, they come back / or are found . . .” That usually is ominous. It made me think that sometimes a child comes to harm. Then there’s another shift at the end. Tell us about that, how you arrived at that. Did you surprise yourself? BG: Many of my students at Eastern Illinois University grew up on farms, and they told me about playing in the corn and sometimes getting lost in it. One even told me the story of a friend of friend of hers who did indeed never come back. The child simply disappeared. So, I certainly had that possible horror in the back of my mind when I started the poem. But The Lost Brigade is full of figures who vanish, whether physically or mentally, and around the time I was working on this poem, my own father disappeared from the rural VA hospital he was in. He had Parkinson’s disease, and one day somehow got himself dressed and walked out the door of the ward he was in and vanished. We never found him despite the extraordinary searching that went on. 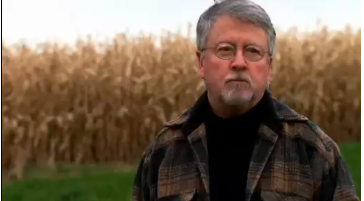 No doubt I brought my own ghosts to this seemingly innocent scene of the corn field and harvest. So, in a way, I am not surprised the poem ended the way it did, though Freud would wonder why I had a child “running away” at the end rather than his father. DL: You’ve lived in three distinctly different environments—New Jersey, New England, and now the Mid-West. And I read in your bio that you’ve twice sailed around the world. You’ve referred to Nature as a “feast for the imagination.” What influence have place and change of place had on your work? On this poem? BG: When I first moved to Illinois after finishing my PhD at the University of New Hampshire, I was able to finish a book about rural New England called January Thaw (U. of Pittsburgh Press, 1982). The flatness of the prairie gave me the perspective I needed to write about my native stone walls and pine forests. The same stones and those dark woods also made me look at the open fields of the Midwest in a far different way than did those who grew up here. Thus, in my long runs on the open roads that square off the corn fields of east central Illinois, I might hear “something/alive, someone maybe,” while others might hear only the wind. New soil and fresh water can be as good for us as for any root-bound plant. DL: What effect has being the editor of a poetry journal had on your own poetry? Is that another kind of feast? Or do you risk losing your appetite? BG: One can overeat, of course, but my recent stint as editor at Spoon River has been quite a feast. I have been fortunate to read some great poetry that I would never have come across otherwise, and then to have the opportunity to make that work known to others is simply wonderful. Nothing has pleased me more during these last three years than to publish someone for the first time. I frequently call the poet to say I’m taking the poem, and that’s just a joy, a real privilege. The downside of editing is the busy work of grant applications and funding. But what an honor to edit “one of the best reads in the poetry publishing world,” as Poet’s Market has said about this long-lived journal. And to have met someone like Diane Lockward! Of course, I haven't really "met" Bruce, but we have spoken on the phone and that's when I learned that he attended high school not too far from where I live. I hope he'll come back to NJ soon so we can really meet. After viewing the video of Bruce reading "October," I almost felt as if we had met. Here's the link. This is a beautiful video, created by Arts Across Illinois in their "Inspired by Nature" series. 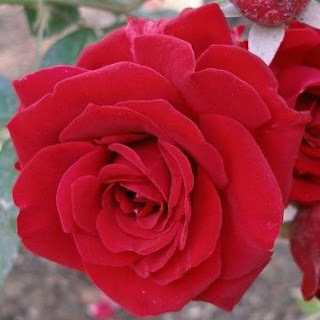 Take a look at Poetic Nature. 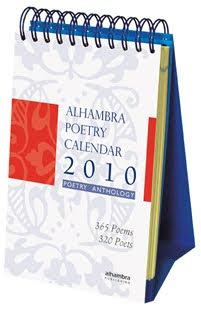 This year's Alhambra Poetry Calendar 2010 has arrived just in time for holiday gifts. The calendar comes in five different languages and includes 365 poems by 320 poets. I am delighted to be one of those poets. My poem "How Is a Shell Like Regret?" is the daily poem for September 29. The poets come from different eras, but the majority are contemporary poets, e.g., Kim Addonizio, Nin Andrews, Denise Duhamel, Stuart Dybek, and Major Jackson. You'll find formal poems and free verse poems and poems on a wide variety of subjects. This is a unique spiral-bound calendar with each poem getting its own day and its own page. The back of the calendar opens up so that the calendar stands upright. Placed on your desk or your bedside table, it offers a great way to begin or end your day every day all year. Priced at $29.95, this lovely collection is not only a calendar but also an anthology. Visit the website to find the complete list of poets and ordering information. Also can be ordered through Amazon. a . . . I need to walk your lonely trail. b . . . to pick me up from ash and dirt. B . . . that ragged voice of pain and hurt. You might want to try for 8 syllables per line, even for iambic tetrameter. I can't seem to ascertain whether the meter is required or optional, but most of the triolets I've looked at employ 8 syllables per line. I think that the key to this form is getting a snazzy first line. Do you have an idea journal where you write down cool lines? Dip in and see if you can find something. Then just get started. If you're into forms that capitalize on repeating lines, you might be interested in checking out a new online journal, Tilt-a-Whirl: A Poetry Sporadical of Repeating Forms. The first issue was recently posted and looks very tempting. This journal is an off-shoot of the online journal Umbrella, both edited by Kate Bernadette Benedict. The site includes a handy "cheat sheet" of definitions. I'm mostly a free verse poet, but I also enjoy working in forms. I find they push me in directions I might not otherwise have pursued. It's raining dogs and cats in NJ today. A perfect day for staying inside and pursuing triolets. You're probably scrambling now to get your holiday gift lists made and the shopping done. 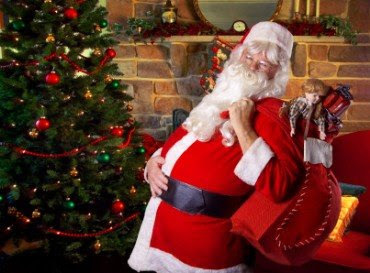 (If you've already done your shopping, I don't want to hear about it.) How about a book of poetry for all the people who matter in your life? Even if you think someone doesn't care for poetry, I bet you can find just the right book for that person. And there's really no better buy than a book of poetry. Just think, if a book has 50 poems and the book costs $15, that's just 30 cents per poem! Considering that each of those poems took days, weeks, even months to complete, that's quite a bargain. Unlike most novels, a book of poems often wants to be read and reread. It lasts forever. 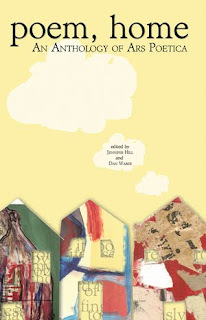 poem, home: An Anthology of Ars Poetica is a book I mentioned some weeks ago when it was about to be published. It has now been officially published and comes right in time for the holidays. It would make a great gift. It's also an incredible bargain at $23.00 which includes shipping. 230 pages. Consider too some of the other books I've mentioned recently. See the sidebar, "Suggested Titles for Holiday Gifts," for suggestions and links to Amazon. Chapbooks are a great idea for the person you're perhaps not sure will appreciate a collection of poetry. They're also perfect for the person you know will appreciate some poetry. And they're great for bundling. Kristin Berkey-Abbott has posted a terrific list of recommended chapbooks. Kristen has also posted an equally terrific list of recommended full-length poetry collections. A gift of poetry makes the recipient happy and also makes the poet happy. I'm always happy and appreciative when someone buys my book, but I'm tickled silly when someone buys my book for a gift. And don't forget to be good to yourself. Treat yourself to some new books of poetry.